Update: Yes, it’s real, I found it half-drowned in a rainwater collecting drum the night before. I took it out and set it in a pot plant for the night, but by morning it was dead. It was easy to find and identify, simply by Googling “large dragonfly”. It is a member of the dragonfly family Aeshnidae, called ‘Darners’ in English. This one is Epiaeschna heros, called a Swamp Darner in English. 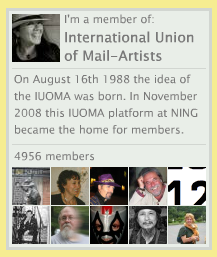 It occurs, as a native taxon, in multiple nations. In many places in the U.S. it is classified as vulnerable, in some states it is ‘imperiled’ or ‘critically imperiled’. What I find most intriguing about this particular dragonfly is that it has the markings and colouring found on Darners in North America. The Australian Swamp Darner, Austroaeschna parvistigma, is black and dull-coloured. I understand that this family of dragonflies is migratory, though it is hard to believe that my nighttime visitor came from quite that far away! Love your photo. 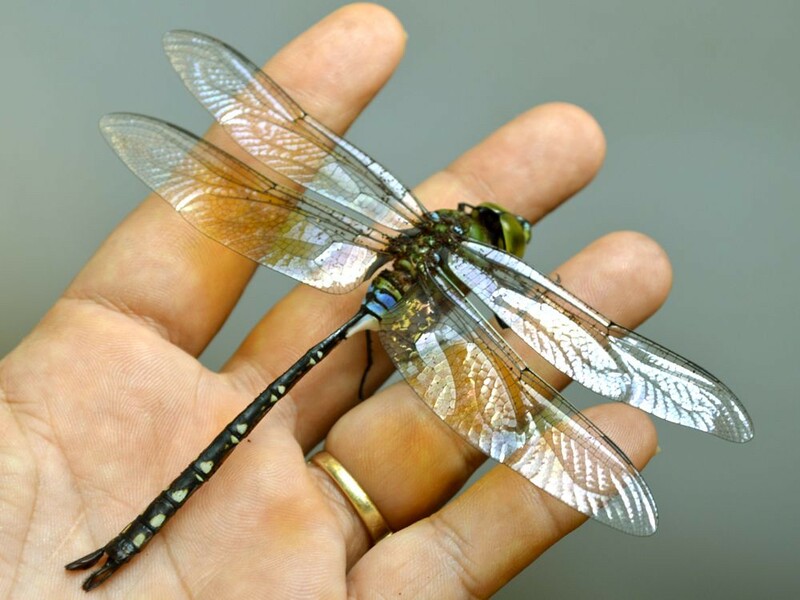 My family & I found it in a search for “Giant Dragonflies” and it is identical to the one my daughter found on our window a couple nights ago. Oddly enough we are in Queensland, Australia and the breed that you identified is supposed to be just in North America. The Australian version (as you mentioned) is much plainer, mostly a black body. The largest dragonfly in the world, the petalura ingentissima is native to Queensland but it does not look like the one we found. Curious? Where did you get your identifying information? I’d be curious to talk to an entomologist about the one we found which appears to be identical to yours if in fact it doesn’t belong in Australia! My apologies, I just discovered that you too are in Australia–I just assumed you were in North America. So we are both in the same boat, finding a dragonfly that possibly doesn’t belong here! Dragonflies are so amazing. Did you know that their wings all operate independently, so they can turn on a dime in mid-air and fly backwards? And they’ve been around since the dinosaurs, when they were as big as eagles. Plus there’s the whole dragonfly mating thing–they often mate while flying, and some of their reproductive organs are near their heads, so they fly together joined in heart-shaped hoops. 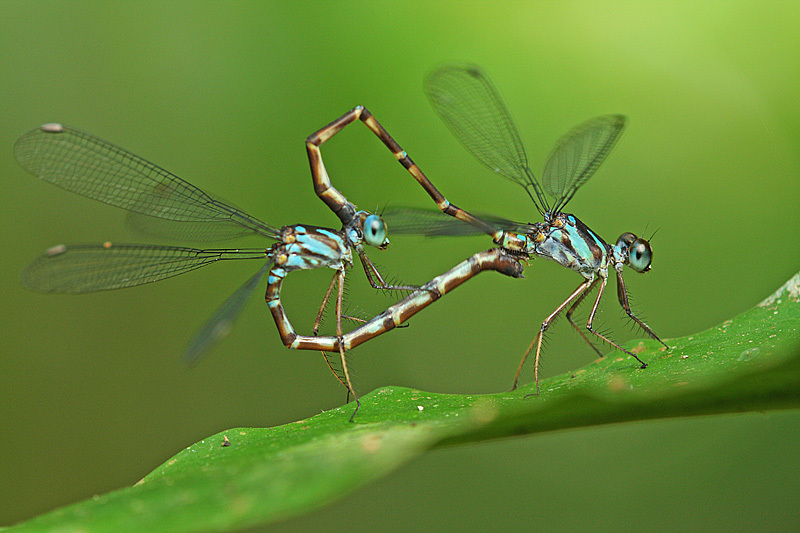 Like so: http://singaporeodonata.files.wordpress.com/2009/01/podolestes-orientalis-mating.jpg (this is actually a picture of damselflies, but you get the idea). Thanks for the information, Andrea 🙂 So funny that this post has engendered all sorts of “Did you know…” comments, it’s like being 12 again, and being at a science fair! 😉 And cheers for the visit! Great poem – that’s not real is it? The dragonfly? Thank you, once again, and yes, it is a real one! I found it half-drowned in a rainwater drum the night before…by morning it was dead. I had to take a picture because it’s the biggest one I’ve ever seen. do u know “Dragon Fly” was a title given to world’s best fighter pilot who made a world record by destroyig 5 aircraft in the air in less than 5 minutes? His name was M.M ALAM. A pakistani airforce pilot. It is the largest dragonfly, of the family Aeschnidae, called Epiaeschna heros, commonly called Swamp Darner in English. It is found throughout the world, a migratory dragonfly, and its existence is considered vulnerable and imperiled, thanks to mankind. Exactly what I thought…never seen them so big.